Snoring is a problem that many people have to deal with throughout their lives. Every person, regardless of gender, weight and health status, is capable of snoring. Various types of snoring show different problems with the tongue, nose, throat or other parts of your respiratory system. Snoring may be a sign of an underlying medical condition that needs treatment. However, you can attempt to prevent your snoring with numerous herbs. If snoring occurs because of nasal or chest congestion, you can use peppermint oil to relieve that congestion. 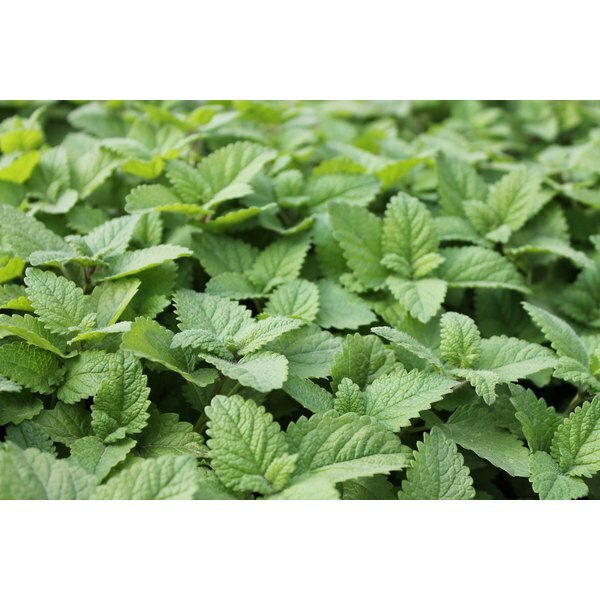 Peppermint oil usually comes in liquid form and is inexpensive and easy to find. Goldenseal is another supplement you can use to help relieve congestion in your chest and nasal passages. Goldenseal can be found in powder, liquid or capsule form. There are also numerous teas that contain these supplements. Digestive problems are another cause of snoring when you sleep. To help relieve your body of these snoring problems due to the digestion system, there are numerous herbs and supplements. Fenugreek, fiber and, most popularly, spearmint, are all herbs used to cure snoring from digestive issues. Snoring can be caused by indigestion, which is an acid problem in the digestive system. These herbs help get rid of this acid found in your body, ultimately decreasing your chances of snoring while you sleep. Each of these herbs comes in different forms, including liquid, powder and pill form. The biggest reason for snoring, according to SoothingSleep.com, is problems in the sinuses in which air is constricted. This causes the mouth to open and the uvula to vibrate, causing that snoring sound. Vitamin C helps to prevent this because it helps promote a healthy immune system, which also clears the sinuses. One of the most effective ways to get Vitamin C for this purpose is to eat an immature, bitter orange. It is a traditional Chinese herbal medicine that has been proven to be effective for treating snoring. Eucalyptus is an Australian tree whose leaves are perfumed and sweet-smelling. These leaves also create an oil that has many therapeutic uses in modern medicine. Putting eucalyptus leaves in a steam inhaler and ingesting it through your mouth or nose can help clear your sinuses. This will make breathing much easier for you, ultimately helping you to stop snoring.